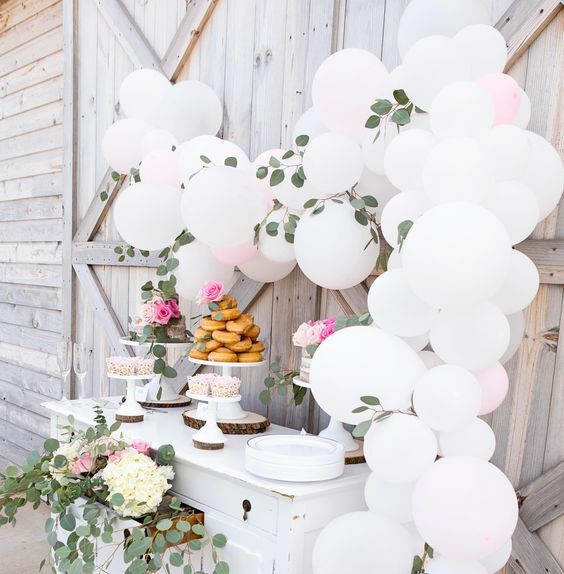 Balloons are always a must for any celebration! How about putting them together in a creative, contemporary design? Play with colours and sizes and turn your wedding decoration into an art gallery full of colourful balloons that not only looks trendy, but also beautiful! Or use plain white balloons to give your wedding the extra touch of elegance.